Frederick - Cider Apple Tree £12.75 - Cider Apples - Sharp and Bittersharp Apple Trees and Fruit Trees For Sale. Buy at competitive prices with wholesale discounts. Frederick produces pure sharp juice with no astringency, giving a distinct fruity character to single variety cider and useful for blends. 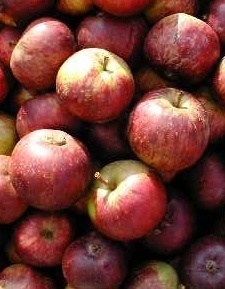 Widely cultivated in Victorian times, Frederick originates from Monmouthshire and produces an attractive yellow apple with a striped red flush. Reputed to make the finest apple jelly!